In order to download or update apps, as well as use your device, you must set up a unique Apple ID. This ID will be linked to you and your specific device. Instructions on how to create an Apple ID are below. Step 1:Open a browser and navigate to https://appleid.apple.com/account. Step 2:Enter a unique Apple ID and password. Remember that you should never write down usernames and passwords. Be sure to select a memorable username and password that you will recall easily without a written aid. Do NOT share your Apple ID password with anyone for any reason. Step 3:Select a security question and key in an answer. These questions will be used to ensure only you access your accounts if you forget your password. 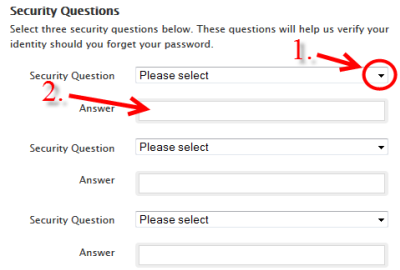 Step 4:Repeat for the following two security questions. There are three total security questions and each one has unique options. Select ones that you will easily remember. Step 5:Select your date of birth. Step 6:Enter a 'Rescue Email Address' which will be used in case you forget your password. 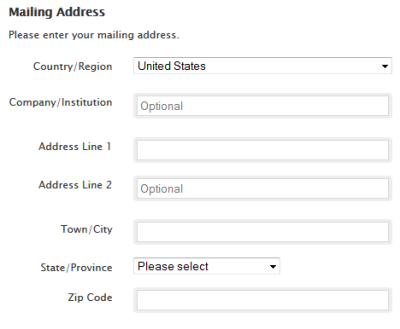 Step 7:Enter your mailing address. Step 8:Select your preferred language. English is preselected. 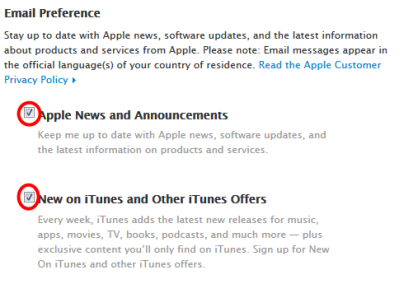 Step 9:Check or uncheck the boxes to indicate if you would like to receive emails from Apple. Step 10:Enter the security code to verify you are not a spambot and click Create Apple ID. Step 11:Login to the email account you specified during setup and click "verify" in the email received from Apple to activate your Apple ID. For a visual demonstration of how to create your Apple ID, watch the video below.